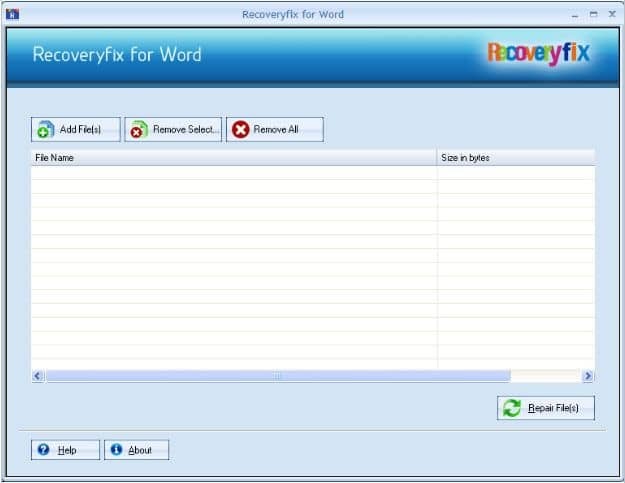 Welcome screen of the Recoveryfix for Word software. 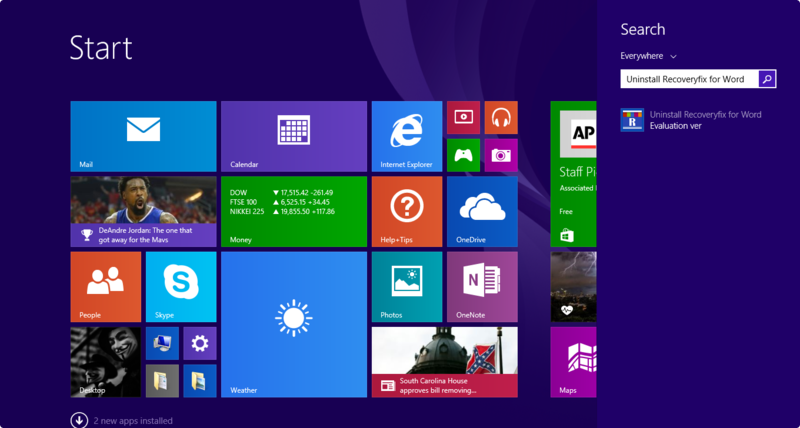 Enlisted corrupt MS Word files in the software interface. 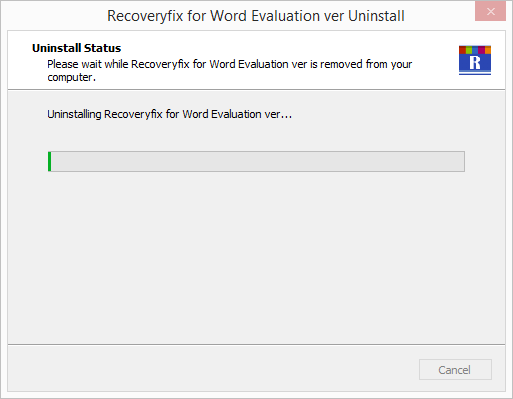 List of recovered MS Word file. Q. 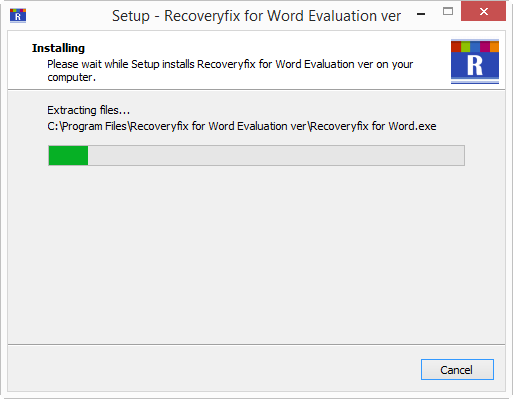 What are the supported file formats of MS Word? 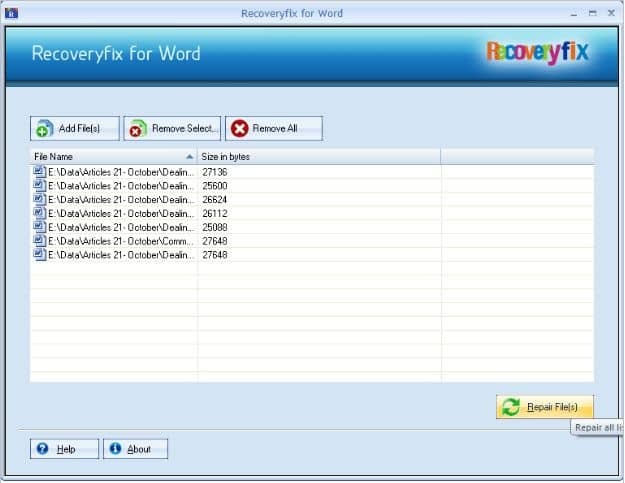 A. Recoveryfix for Word is enhanced with intuitive programming methodologies that facilitates the data recovery from every possible file formats of MS Word. Furthermore, it remarkably recover MS word files of various file formats, which includes .dot, .docx, .docm, .dotx, .dotm, and .doc. Q. 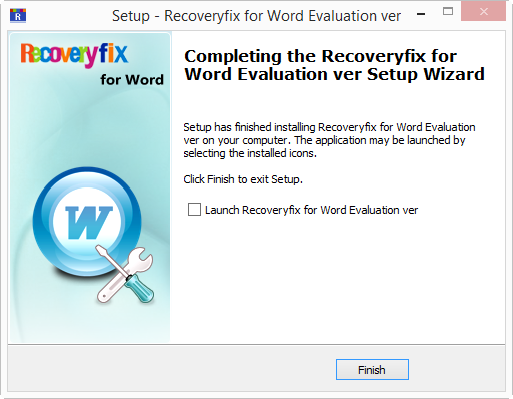 From where can I purchase Recoveryfix for Word tool? Q. If I purchase the full version, how long will it take to send me the product activation key online? A. You will receive the activation key via email therefore, you are suggested to enter a valid email ID while registering for the software. A. Our Support Desk is meant to help you, please email us your issues at sales@recoveryfix.com with your details including your name, address, email address and order confirmation number (if you have it). We will be happy to help you.